I really enjoyed the first book of the Ladies' Detective Agency, but the second and third didn't have the same impact for me, so I haven't persevered with them. The Professor von Igelfeld series was a huge disappointment, so I wasn't particularly excited when my book group decided they wanted to read an Alexander McCall Smith book because the author was coming for our Lit Fest. 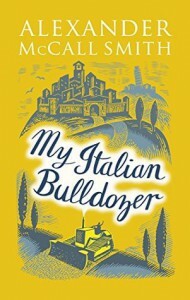 It had to be a stand-alone book, and his most recent non-series novel was My Italian Bulldozer. I listened to a sample of the audio version but found the narrator irritating, so I went ahead with the book. It started out reasonably well, with cookery author, Paul Stewart, heading for Italy to finish his overdue book on Italian cookery. He has a somewhat dubious encounter at the car rental office on arrival in Pisa, that results in him hiring the only remaining vehicle in town, a bulldozer. The story continues on from there, with one crazy situation following on from the previous, in quick succession. This is definitely a book for fans of farce, which I certainly am not. It got pretty much slated by my book group, so at least I was not alone. It was hard to discuss because there really wasn't anything of substance in the story. The most interesting part related to the random positioning of boundaries that decreed whether given a wine was entitled to a prestigious title or not. Did it make me want to take a trip to Italy? Yes, it was pretty atmospheric. 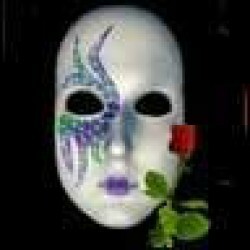 Will I read any more from this author? Probably not, sadly. To top it off, Mr McCall Smith got stuck in the snow in UK and didn't make his scheduled session anyway! !